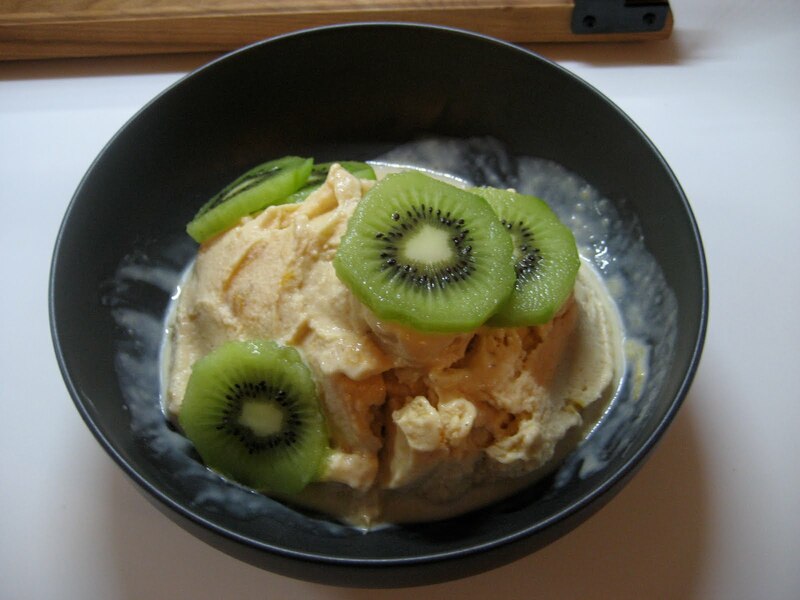 I think it’s appropriate that my first foray into a cooking blog is also my first foray into ice cream makers and electric mixers. 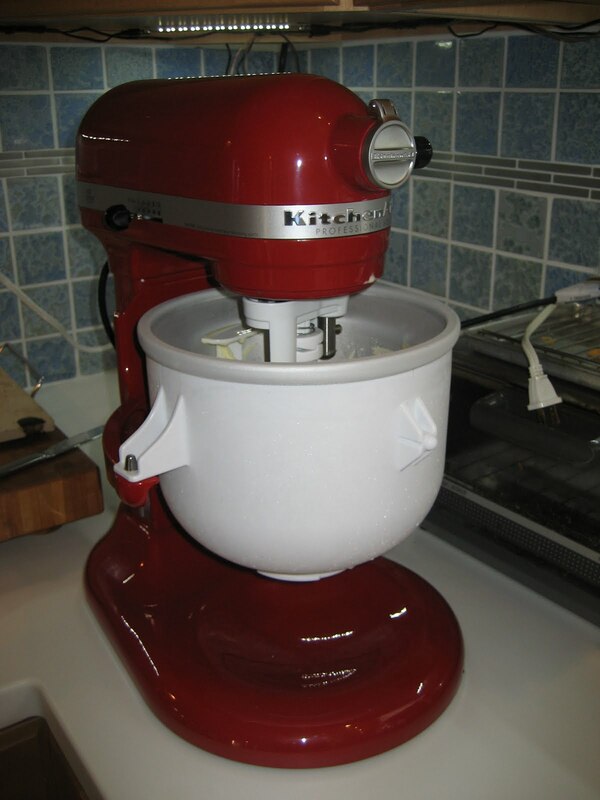 When we closed on our first house several months ago, I immediately ordered myself the KitchenAid Professional 600 Mixer, unable to resist the allure of Empire Red and 575 watts of Mixing Power. This weekend was our first full weekend in the house, and we decided we were together enough to host a small Mothers’ Day dinner. Naturally, I planned the dinner deliberately to incorporate as much mixer usage as seemed reasonable.